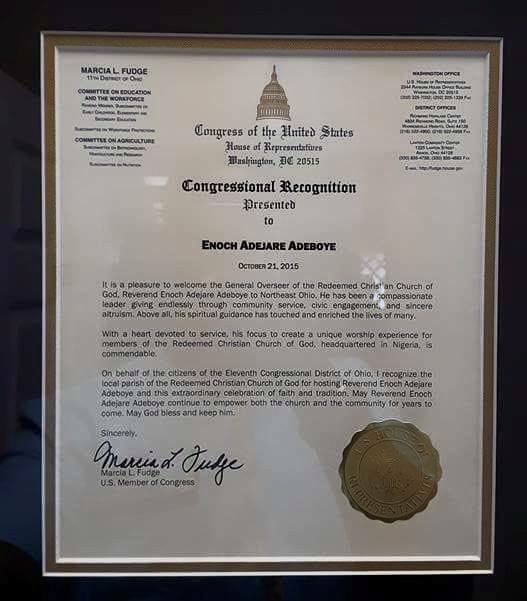 The United States Congress has issued a congressional recognition to the General Overseer of the Redeemed Christian Church of God, reverend Enoch Adejare Adeboye for being a compassionate leader, giving endlessly through community service, civic engagement and sincere altruism. The Congressional recognition, signed by Marcia Fudge, also prays that Pastor Adeboye continue to empower the church and the community for years to come. 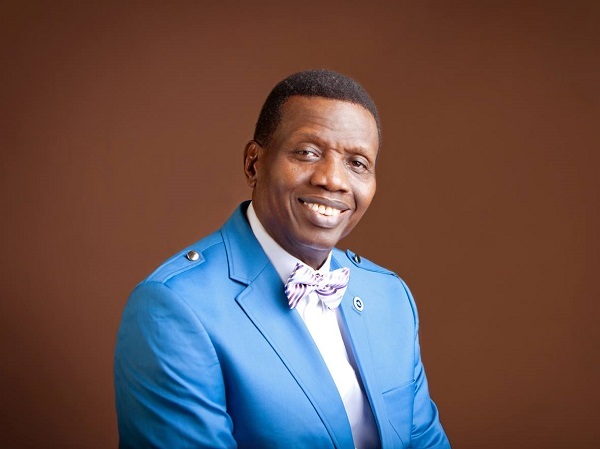 Pastor Adeboye shared this award on his official Facebook page.